How can I challenge my blood test results in my DWI case? In North Carolina, a conviction for driving while impaired (DWI) comes with very harsh penalties, such as large fines, a jail sentence, and suspension of your driver’s license. In addition, DWI is a misdemeanor offense in North Carolina and a conviction would result in a permanent criminal record. Fortunately, there are defenses to these charges that you could have even if you are guilty of driving when intoxicated that may result in the charges being dismissed or reduced to a less serious offense. One powerful defense may be to challenge the results of your blood test. In North Carolina, police officers are permitted to obtain the amount of alcohol on your breath or blood as evidence to be used against you in a DWI case. 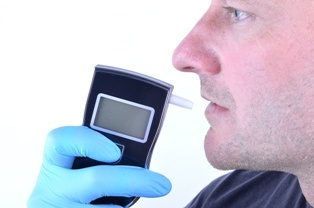 The amount of alcohol on your breath is tested through the use of a breath testing machine, and the amount in your blood is tested through a blood test. If you do not consent to this testing, the police would need to obtain a warrant to conduct the test, which they would often obtain. However, under North Carolina’s implied consent laws, you imply consent to this testing and would face harsh penalties for refusing the test, such as automatic revocation of your driver’s license and your refusal being used as evidence in your DWI case. A blood test is conducted by drawing your blood and testing it, and it tends to be the most reliable testing procedure. However, this does not mean that the results are always right. If you are successful in challenging the result, the prosecutor may not be able to use the most important piece of evidence against you, and the charges against you may be dismissed. Questions regarding the reliability of the tests may also help to obtain a more favorable plea agreement where the charges are reduced to a much less serious offense. Lack of qualifications. The person administering the test must be qualified to do so. Your attorney can examine the training and experience of the person who administered your test to see if this is a basis for a defense. Even if the person was qualified, if there are other questions of his competency, such as cases of his falsifying records, this could lead to challenging the use of the blood test against you. Chain of custody. In DWI cases, the police are required to follow specific guidelines in handling the evidence—including the blood drawn from you and your test results. To ensure that they were not tampered with, the police must account for them at all times or the chain of custody may be broken. Mislabeling the test tube or misplacing it for a period of time are two examples of when the chain of custody might be broken. If the chain of custody is broken in your case, the blood test result could be excluded from evidence in your criminal case. Calibration. Blood testing machines often need to be calibrated, like breathalyzers, to ensure that they work properly. In some cases, the calibration of the equipment used in a blood test may not be properly done and could lead to an error in the results. In this situation, the test results could be excluded or the accuracy questioned. Storage. Blood samples must be properly stored or it can result in elevated error rates. The yeast, sugar, and bacteria in the blood can ferment if not stored correctly—which can lead to inaccurate test results. If your blood sample was improperly stored, the results may be inadmissible. Were you charged with DWI? An experienced DWI defense attorney can help you aggressively fight the charges you face. We have the added benefit of being former prosecutors so we understand how they approach these cases. To learn more about how we can help you build a strong defense, call our office today to schedule a free consultation. What Factors Will the Court Consider in Sentencing Me for DWI?